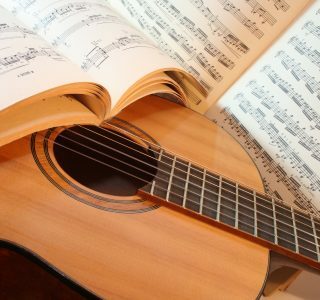 Guitar: Ukulele: Music Theory lessons:	Guitar lessons Meath covers Navan: Nobber: Kingscourt: Drumconrath: Kilmainhamwood: Bailieborough: Carlanstown: Kells: Tierworker: Mullagh: and the surrounding areas. 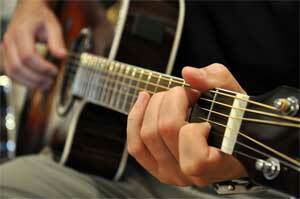 Guitar lessons Meath covers Navan and Kells area. 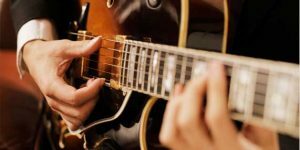 We are based in Kilmainhamwood which is also ideally situated for guitar lessons Nobber, Kingscourt, Drumconrath, Kilmainhamwood, Bailieborough, Carlanstown, Tierworker, Mullagh, and the surrounding areas including the nearby locations in Co. Cavan, Co. Monaghan and Co. Louth. 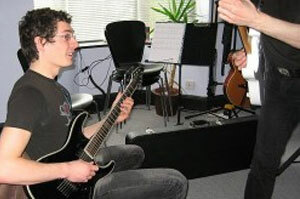 Our guitar lessons promote rapid growth by focusing upon musicianship skills first. With graded or non-graded lessons. All lesson material is supplied in mp3 and PDF formats; giving students an aural and visual reference. All our lessons are tailored specifically to each students needs. We offer both graded and non-graded lessons for ukulele starting from €60/month. Our graded Ukulele lessons are fully RGT accredited. 6 exam grades are currently available, ranging from Initial Stage (for beginners) up to Grade 4 (for intermediate level players). Our Non-Graded Ukulele lessons are by no means any less superior, much of the same curriculum is followed, but with much more flexibility to pursue a students particular field of interest. Both our Graded and Non-graded ukulele lessons include in house assessments and regular tests of the course content. All our lessons are tailored specifically to each students needs. Singing instruction for adults and teens is two-part, concentrating on both vocal technique and interpretation. The technique portion works on breathing, range development, vocal strength, flexibility, intonation and tonal quality. The material chosen for interpretation work – which may include classical, jazz/blues, rock/pop, traditional music or musical theatre – is chosen with each student’s unique goals (and voice) in mind. Our Junior and Leaving cert music grinds are based around the current school year curriculum. Whether just a little help is needed with course work, or preparation for exams, our lessons will help you develop the skills and confidence needed to take the stress out of exams. Full transcription services are provided utilisising Sibelius or musescore; these can be then converted into PDF format which allows reading on any platform. 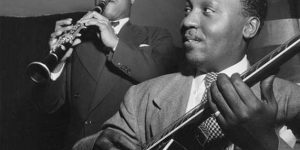 Transcription from audio source of almost all kinds of music: jazz, rock, R&B, soul, pop, fusion… Solo transcriptions, arrangement transcriptions, engravement from handwritten manuscript, Create MIDI files from the partitions, used for listening or training and many more…. The CAGED system derives its name from the five “1st position” chords, or open chords, of C, A, G, E, and D.
The CAGED system is directly linked to the tuning and logic of the guitar fret board; it is built directly from the shape of these chords, and the relationship of where the “root” of these shapes is situated on the guitar fret board. 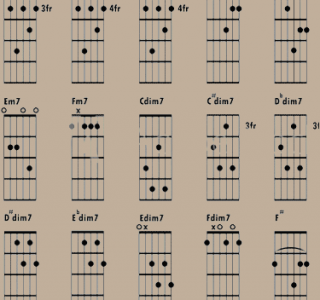 The CAGED system is not the only way of making sense of the guitar fretboard harmonically, but is one way. 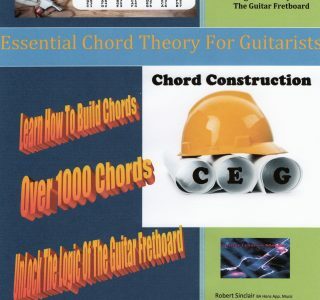 The CAGED system can be applied to all scales and chord shapes, and when combined with chord theory and harmonic structure will provide a complete and well rounded knowledge or the entire guitar fret board. Having toured extensively in the UK during the 80’s and 90’s with “The Evidence” Robert brings a wealth of experience to his teaching ethos. 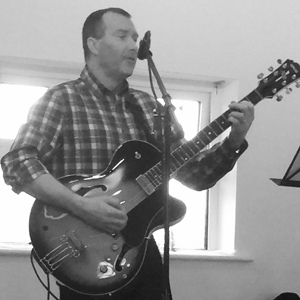 With an Honours degree in Applied Music his musical knowledge and understanding, along with his playing experience gives his students real insight into their musical development. Robert’s enthusiasm for teaching music is infectious, and it is this joy of bringing the gift of music to his students of all ages and abilities that encourages his students to reach for their very best . Robert Sinclair has been playing guitar for nearly 40 years and teaching it for more than 20.